In 1911 Frederick Avis was 16 and working as an errand boy. He lived in 2 rooms at 59 Lambeth High Street, SE1 with his father George Avis, 38, a compositor, and mother Rhoda Avis, 44, and his brothers: Joseph Avis, 14, and Charles Avis, 9. All were born in Lambeth. 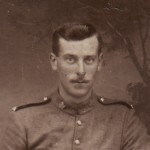 Frederick Avis, a 19-year-old single brewer, joined up barely a month after war was declared on 4 August 1914. Many assumed that the war would be short in duration (“home by Christmas”) and not particularly arduous. It would be like one big party – not to be missed. 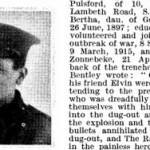 Avis must have been aware of the bitter irony of these hopes: he survived, possibly exhausted by stress and trauma, nearly to the end of the conflict, and his service included at least one major period of illness. 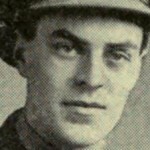 Initially Avis joined the Wiltshire Regiment but he was transferred to the Royal Welsh Fusiliers in May 1916. He rose from Private to unpaid Lance Corporal and Corporal (attracting proper pay). Avis’s only transgression on record is a failure to comply with an order in November 1915 for which he forfeited 4 days pay. Avis stood 5 feet 4½ inches, with a chest of 35½ (expandable by 2½ inches), and weighed 118 pounds. His hair was brown and his eyes blue. 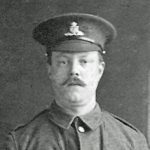 On enlistment he was described as fit, but after three years of gruelling warfare he was returned to England and spent at least 60 days in hospital. 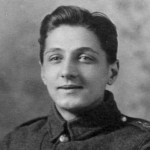 In September 1917 was receiving treatment at the Birmingham War Hospital for kidney stones, and he was also diagnosed with muscular rheumatism. He spent 38 days there, and a further 22 days in the Convalescent Hospital at Plymouth. 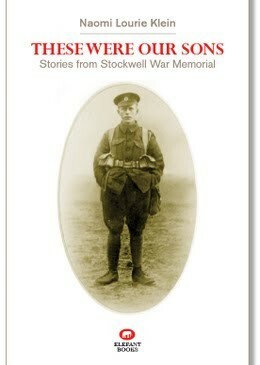 And then, on 31 March 1918, he was back at the front. 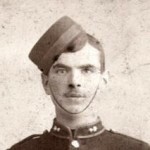 He died at the Somme after serving for 3 years and 275 days, on 9 June 1918. His widowed mother, Ada, received his effects: letters, photos, a wallet, two religious books, a watch and watchstrap. 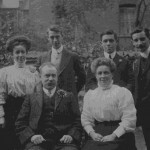 And later, in 1919, with the help of the Rev Helm, the vicar at St. Anne’s Church, South Lambeth Road, she filled in the Army form declaring next of kin who may have a claim for pension: Charles, 17; Joseph, 22 (now living in Balfour Street, Nine Elms), and Edward, 24.